IT, Security, and IT infrastructure teams are faced with a complex set of challenges, and identity and access management (IAM) done the old way tends to compound things. Companies who haven’t modernized their IAM infrastructure can spend months dedicated to setting up each new business application, both on premises and in the cloud, and another several months launching it to their users. 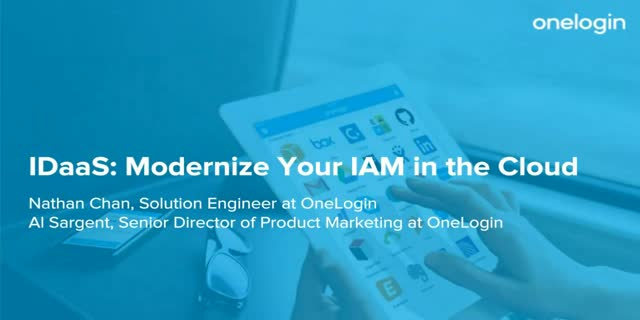 It doesn’t have to be this way, with cloud-based solutions such as OneLogin reducing the time, effort, and risk of IAM modernization. Join us for an informative webinar with OneLogin presenters Nathan Chan, Solutions Architect, and Al Sargent, Sr. Director of Product Marketing.